for the Music We ARE! Aaja khaalipan mein, Pi ka ghar tera. Tere bin khaali aaja khaalipan mein. Kun! fa ya Kun!, Kun! fa ya Kun! Woi tha - Wohi tha - Wohi tha. Kun! fa ya Kun, Kun fa ya Kun! Le le rangai chaahe tann chaahe mann. Kun fa ya Kun, Kun fa ya Kun! Wohi tha - Wohi tha - Wohi tha. Main to jaanu hi na. Tere hi main ik saaya. 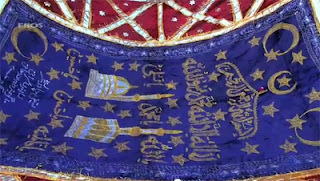 Sallallahu Alayhi wa Sallam O God's friend, Nizamuddin! 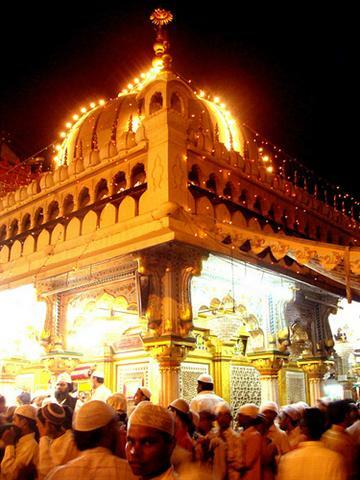 O Nizamuddin, the friend of poor. Advance your blessed feet. Appear! may you fill this void, the abode of your Beloved. Its empty without you, come fill this void. We dye in Your color. Be, and it is! Be, and it is! Be, and it is! And It is! He was the One, only One. Dear Lord is the one that is the Mystery (all around). Allah the Sublime, the Magnificent says the truth. Color my heart and my mind with Your color, the Color Divine! In exchange, take all that is mine. and it purifies dark night soul of mine. The blessings and peace of Allah upon him. Carrying, where I am going? I am but Your shadow. Only You are the Truth. Only You are the Real. (You Command) Be, and it is! Be, and it is! Your Command only is, "Be," and it is! (Please intend noble aspirations and direction for me). Benediction of grace and peace upon him. The song is dedicated to one of the greatest Sufi Saint of the world as well as in India, Hazrat Nizamuddin, may Allah be pleased with him and continue to raise his spiritual rank until the Day of Return. His original name was Muhammad bin Ahmad bin Ali Bukhari and when he was granted the lineage of a Sufi Master, his title was Sultanul Mashayakh, King of the Sufi Masters. He was one of the leading people through whom people of Indian subcontinent came into the folds of Islam. There are many stories that survived from his illustrious life which was utterly dedicated to God and His Messenger, upon him be peace and blessings. This great saint was sent to the world on Wednesday the 27th of ‘Safar’, 636, Hijri and He returned to his Lord on 18th of ‘Rabiussani’(Rabia II) in 725th Hijri at Delhi. His final place of rest is located in Delhi, the capital of India. The Shrine is about 700 years old and is a spiritual and historical monument of world fame. People of all communities irrespective of faiths and religions are attracted to pay visitation to the Shaykh and to receive his blessings that he continue to bestow even until today behind the veil by the permission and power of Allah. The song is a great composition that recalls some of the themes from the esoteric knowledge of the Sufi Science. The title of the Song, "Kun Fa Ya Kun" is a famous Quranic verse which is a Symbol / Sign of God's Mystical Creative Power. 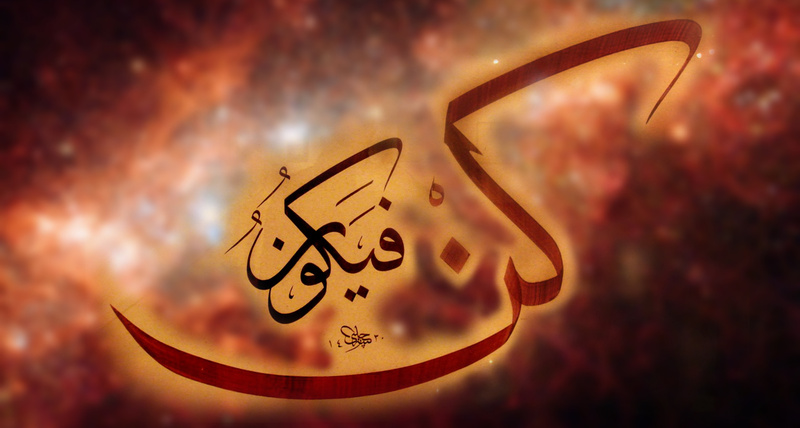 Kun (كن) in Arabic means "Be" and "fa Ya Kun" (فيكن) means "Thus It is" / "So It is." Does man not consider that We created him from a [mere] sperm-drop - then at once he is an open disputant? And he presents an (argument of) likeness for Us and forgets his own creation. He asks (in confusion): "Who will give life to the bones when they are disintegrated?" Say: "He will give life to them Who brought them into existence in the first place, and He is cognizant of all creation." He Who has made for you, from the green tree, fire. and then from it you kindle (fire). Is not He Who created the heavens and the earth able to create the like of them? Yes Indeed! and He is the Superb Creator (of all), the Ever-Knowing. Innamaa amruhu izaaa arada shay-an an yaqoola lahu: Kun! fa ya kun!. Surely His Command, when He wills a thing, is only to say to it: "Be! and it is!" The song first pays respect to the saint who are the succession link through whom the Message of the Messengers are preserved, transmitted and it is the saints, the elect friends of God who revives faith in the heart of people. They are reviver of God's Reality within Man and Man's Reality within the world and time. It is through knowing them, seeing them, sitting in presence of them that light of faith is kindled and revived in the heart. Even anywhere and anyone who remembers the friends of God, blessings of God is showered in that place and upon that person. The Prophet said, 'he is the best person, seeing whom brings the remembrance of God in you', and it is the self-less friends of God who brings such remembrance. Such is their power by God's Doing that even remembering them makes the heart remember God, let alone seeing them. That is why even visiting (ziyarat) their final resting place is a praise-worthy action on part of the common believers, since those resting places are gathering place of God's unending blessing. The Quran instructs, O you who believe, be conscious of God and seek means (wasilah) of nearness to God (5:35). Any wasila or means, which brings one near to God without ascribing any partner to His Divinity, be it the holy scripture, be it a saintly person, be it the holy utterances of God's Messengers, be it prayer, be supplication, all these are permissible means to attain nearness to God. And nothing in the heaven and earth is more powerful mean than a person in whose heart God is Alive because God declares, "Neither My heaven nor My earth can contains Me, but the heart of my lover contains Me" (hadith qudsi). Thus the saints, the elect friends of God, their heart being the Seat of God, Dil Kaba, the Heart Sanctuary, are the very vessel, the holy grail so to speak - who are to be visited, spent time with. During the time of the Messengers, for the companions, the Messenger himself was the wasilah (means), the link and after his passing from the physical world, it is their spiritual successors, those who carry the message forward becomes the wasilah and until the End of Days, the earth will never be bereft of the friends of God, no matter how much they be hidden under the cloak of God's veil from the dunya (samsara). The Quran commands, O you who believe, be with the truthful ones, the sincere ones. This is for that reason visitation (ziyarat) is made to the holy and saintly beings, even when they are not with us physically, because the soul never dies and the souls of the friends of God, like any other soul, are alive in the world of Barzakah (the Intermediary World) but their station is very high with God and hence they continues to exercise their role as a link to God, as dear to God, as they were while on earth as Qutub (Great Spiritual Pole), Gauth (Distributor of God's favor on earth), Abdal (Replacement Saints), Auliya (Friends of God) etc. A new life returns to them from the Unknown every moment. May Allah increase our wisdom, preserve and increase our faith, may Allah grant us ability to visit those special beings, wheresoever they may rest or wheresoever there be any saint alive in their seclusion with God. May Allah grant us the visitation to the best of places, the perfumed resting place of the Master of Mystics, the beloved of God, Habib Muhammad Mustafa in his city of light, Medina. Madad Ya Rabbil Alamin, zul jalali wal ikram. I hope you will enjoy the lyric and the song. The song carries the message of some of the same realities that was shared in the last post: Realities of the Grand Deception. You may enjoy the Music Video of this song which is partly recorded at the holy shrine of Hazrat Nizamuddin Awliya in Delhi, India. May Allah perfume his resting place. Click below at Screenshot below to watch the Song in full. Trust me, its a treat! 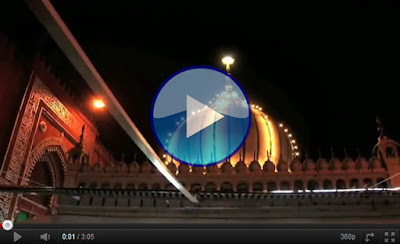 Click below to watch the Making and shooting of the song at the Dargah of Hazrat Nizamuddin. [+] You may download this song "Kun Fa yakun" in mp3 format by right clicking and selecting Save as to this link. (for non-commercial, personal listening only). May with every song, with every sound we remember the Real. For Real Peace comes from the Real Alone.